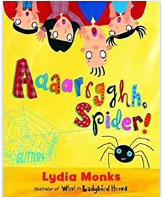 This topic is based around the book 'Aargh Spider!' by Lydia Monks. The topic begins with a giant spider arriving in Year 1, asking us all about humans so that it can become the perfect pet. This is a lovely topic for the beginning of the year as it is an opportunity to share information all about ourselves, our families and our local area so that we can get to know each other really well. We also learn about our bodies, our five senses and how to look after ourselves and keep fit and healthy. This topic begins with a crime scene in Year 1 and after searching for clues we realise that the wolf has kidnapped the Jolly Postman! During this topic we read lots of traditional tales and learn 'The Three Little Pigs' so that we can retell it in our own words. We particularly love designing and making wolf traps and tasting different flavours of porridge for Goldilocks. 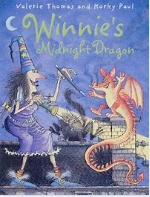 This topic begins with a 'spooky week' where we read lots of Winnie the Witch stories. We then have a special delivery of two golden eggs which hatch into baby dragons. 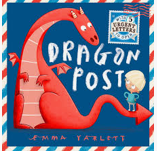 We read 'Dragon Post' by Emma Yartlett to help us to know how to take care of the dragons, as the little boy in the story also found a dragon in his house. We do lots of letter writing in this topic and love working in our 'Magical Beasts' role play area. 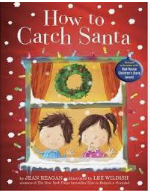 This topic begins with a disaster - Santa has gone missing with only a few weeks until Christmas! We find missing posters all over school and reply to the chief elf immediately to find out how we can help. 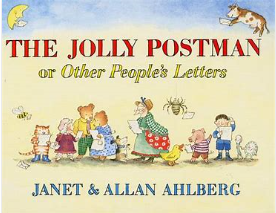 There is some lovely writing in this topic, including writing to-do lists for the elves, labelling Santa's sleigh and using our senses to find Santa. During this topic, we learn all about animals around the world. 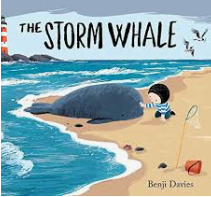 We begin with a delivery of a humpback whale and read the story 'The Storm Whale' by Benji Davies. We get to know the main character, Noi, who goes on a journey around the world with his Dad on his fishing boat. Each week, they send us a postcard and an animal from a different continent that they have travelled to. We learn the story of 'The Storm Whale' and then use it to give us ideas for writing our own animal stories. We also do lots of geography in this topic and love exploring maps and learning about the seven continents.